Tesco is launching an avocado with a thicker, easily peelable skin that it claims could limit painful hand injuries from cutting into the fruit. The hybrid variety is called EasyAvo; it is grown in South Africa by Tesco supplier Westfalia Fruit and comes away easily from its skin when cut in half, the supermarket claims. It has a thicker and “corkier” consistency to its skin, which gives it an almost shell-like appearance when compared to other popular varieties like Fuerte and Hass. As the fruit ripens and moisture loss occurs in the process, the thicker, corkier skin separates more easily from the fruit flesh. It has gone on sale in selected stores in an initial trial to gauge its popularity. It is, however, significantly more expensive than the standard avocado at £1.95. Tesco said it should go some way to limiting the number of so-called “avocado hand” injuries. 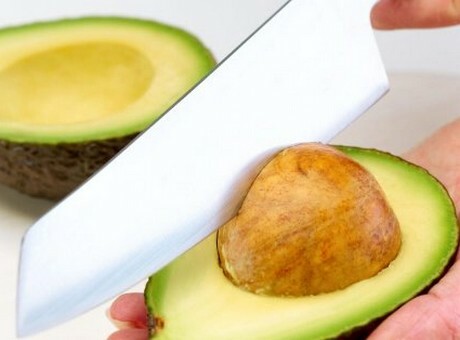 Belfasttelegraph.co.uk reports how last year, leading plastic surgeon Simon Eccles said avocados should carry warning labels following a rise in knife injuries suffered when cutting into the fruit. Eccles said he treated about four patients a week for such wounds.